The rise of mobile phones and social media may come to be historically coupled with a growing atmosphere of dissent that is enveloping much of the globe. The Arab Spring, UK Riots, Occupy and many other protests and so-called “flash-mobs” are all massive gatherings of digitally-connected individuals in physical space; and they have recently become the new normal. The primary role of technology in producing this atmosphere has, in part, been to effectively link the on and the offline. The trend to view these as separate spaces, what I call “digital dualism”, is faulty. Instead, I argue that the digital and physical enmesh to form an “augmented reality”. Linking the power of the digital–creating and disseminating networked information–with the power of the physical–occupying geographic space with flesh-and-blood bodies–is an important part of why we have this current flammable atmosphere of augmented revolution. This was originally posted at Cyborgology – click here to view the original post and to read/write comments. 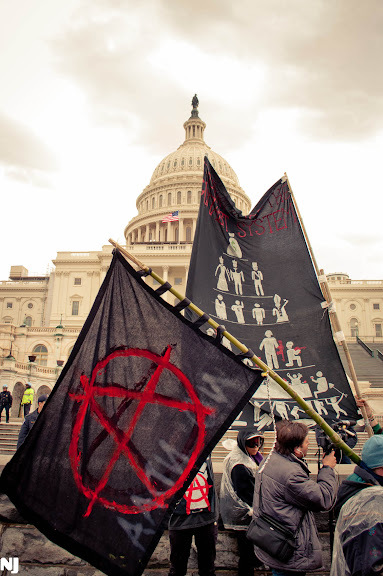 This is a disorganized photo essay with my photos and random ruminations from Occupy Congress last week. 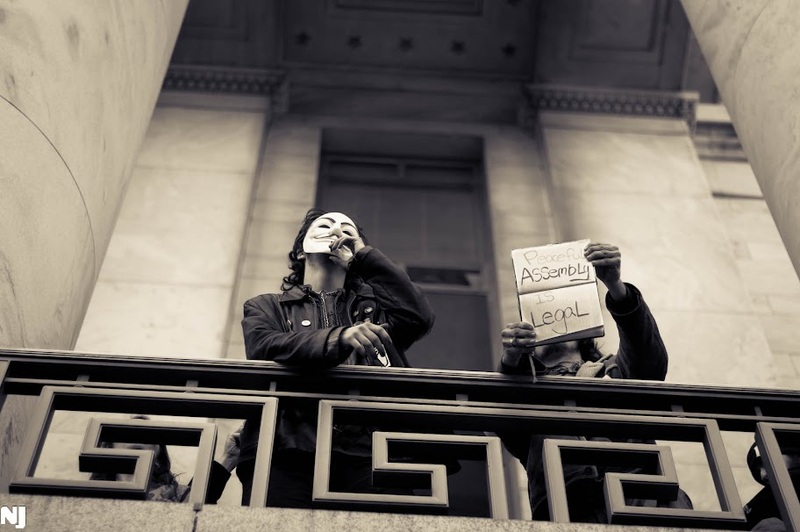 There is a good conversation to have on just how leaderless the Occupy movement is. It is more networked and decentralized, but, of course, not perfectly so. Structures and hierarchies always emerge. Unfortunately, this important conversation is derailed when some try to create fictional leaders for a movement that, for the most part, does not have them. Articles like, for instance, John Heilemann’s New York Magazine expose on Occupy, again and again force leader-language on the movement. And they do so unsuccessfully. The traditional media wants to tell a traditional story, and this is why they get Occupy so terribly wrong. It is easier to describe a movement of leaders, of charismatic personalities and of specific ideas, messages and demands. The media momentum favors retelling the type of story they have told before. But the reality for Occupy is much more complicated. Yes, the movement is not completely leaderless. Participation and efficaciousness are not evenly distributed across the 99%. For instance, the term “occupy” was not arrived to by some consensus but instead the creation of Adbusters. However, the magazine has claimed that they “have no interest in a continuing leadership role.” Instead, the magazine’s role has been aesthetic: to come up with good memes. 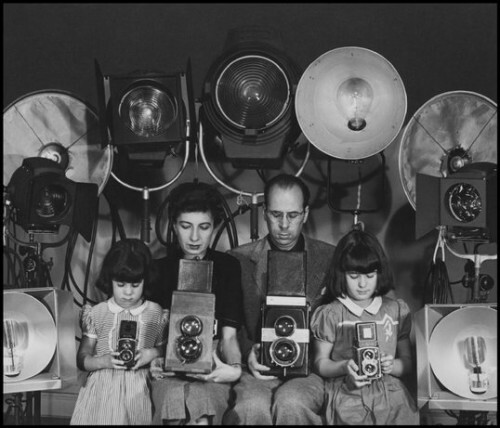 We begin with the assumption that social media expands the opportunity to capture/document/record ourselves and others and therefore has developed in us a sort-of “documentary vision” whereby we increasingly experience the world as a potential social media document. How might my current experience look as a photograph, tweet, or status update? Here, we would like to expand by thinking about what objective reality produces this type of subjective experience. Indeed, we are increasingly breathing an atmosphere of ambient documentation that is more and more likely to capture our thoughts and behaviors. As this blog often points out, we are increasingly living our lives at the intersection of atoms and bits. Identities, friendships, conversations and a whole range of experience form an augmented reality where each is simultaneously shaped by physical presence and digital information. Information traveling on the backs of bits moves quickly and easily; anchor it to atoms and it is relatively slow and costly. In an augmented reality, information flows back and forth across physicality and digitality, deftly evading spatial and temporal obstacles that otherwise accompany physical presence. 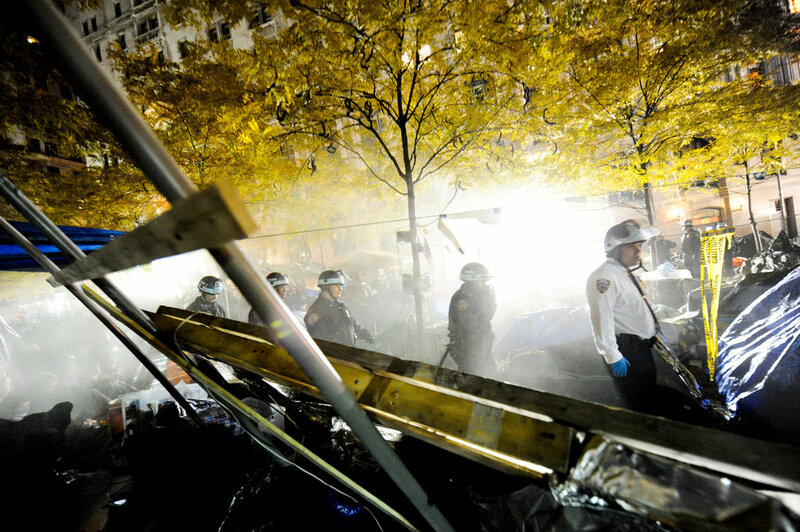 In the 36 hours since the Occupy Wall Street raid removed protest infrastructure from Zuccotti Park, much of the conflict strikes me as the tension between the informational (the symbolic; media; ideas) and the material (physical; geographic). It runs through how New York City carried its actions out (at night, blocking journalists), the ensuing legal fight (does occupying physical space count as speech?) as well as the new strategic challenges facing an Occupy movement where camping is decreasingly an option. Anyone who reads this blog knows that much of my work lies at the intersection of (1) information, media, technology, the online and (2) materiality, bodies and offline physical space. At this intersection, our reality is an “augmented” one. Part of the success of Occupy (and other recent protest movements) has been the awareness of just this point: by uniting media and information with the importance of flesh-and-blood bodies existing in physical space, our global atmosphere of dissent is increasingly one of an augmented revolution. Indeed, these are not protests centered online, as Jeff Jarvis tweeted this morning, or Zuccotti park, but in the augmented reality where the two intersect. The role of new, social media in the Occupy protests near Wall Street, around the country and even around the globe is something I’ve written about before. I spent some time at Occupy Wall Street last week and talked to many folks there about technology. The story that emerged is much more complicated than expected. OWS has a more complicated, perhaps even “ironic” relationship with technology than I previous thought and that is often portrayed in the news and in everyday discussions. It is easy to think of the Occupy protests as a bunch of young people who all blindly utilize Facebook, Twitter, SMS, digital photography and so on. And this is partially true. However, (1) not everyone at Occupy Wall Street is young; and (2), the role of technology is certainly not centered on the new, the high-tech or social media. 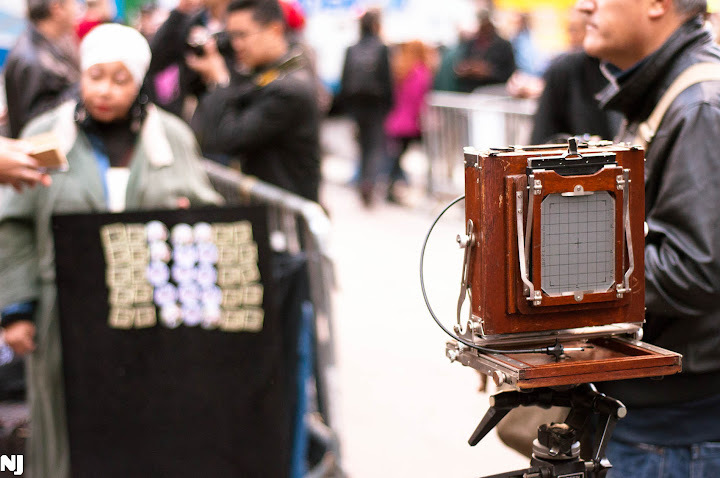 At OWS, there is a focus on retro and analogue technologies; moving past a cultural fixation on the high-tech, OWS has opened a space for the low-tech.